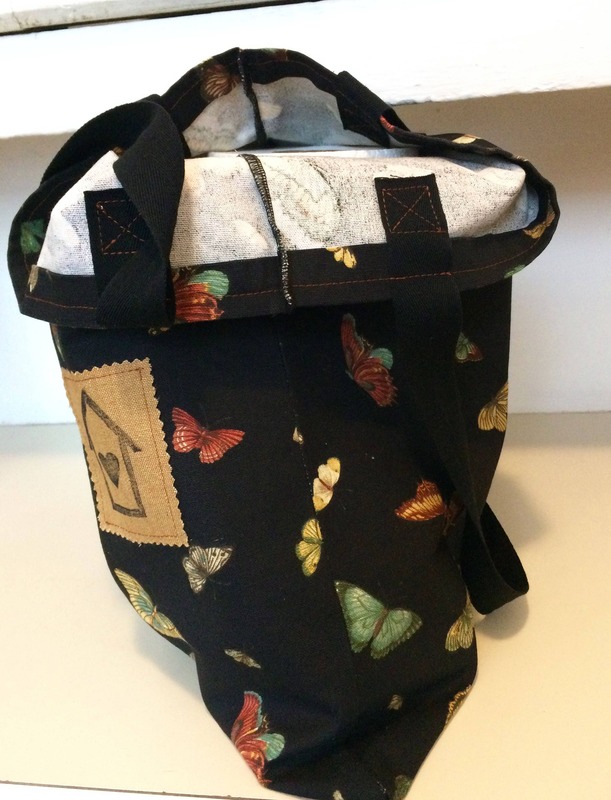 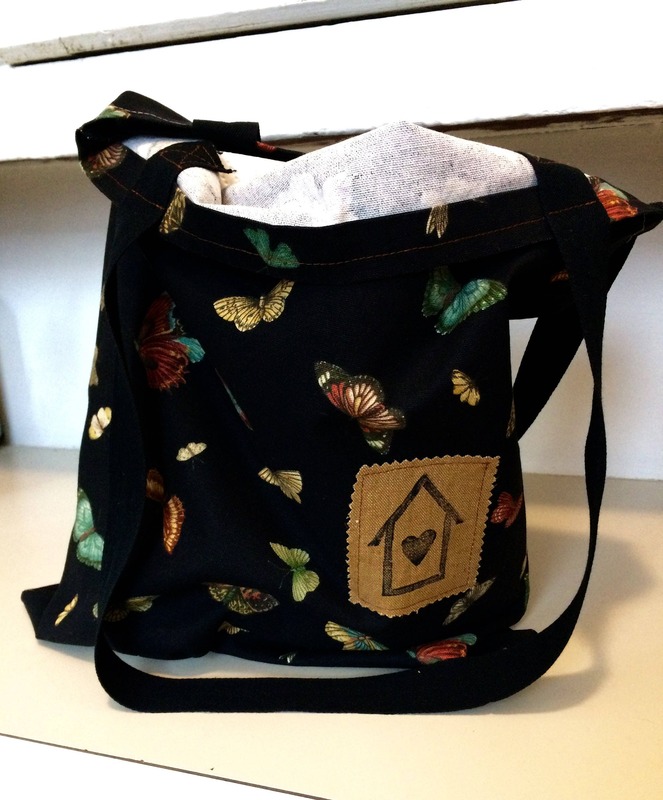 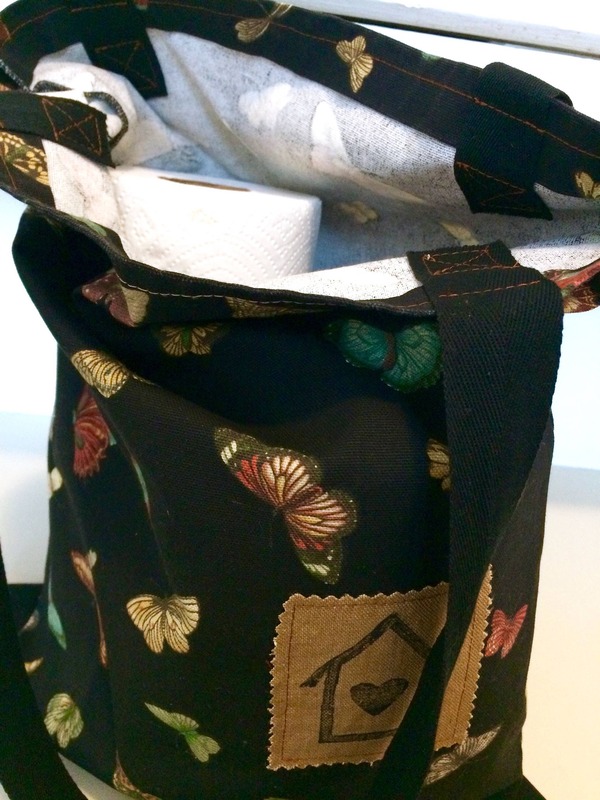 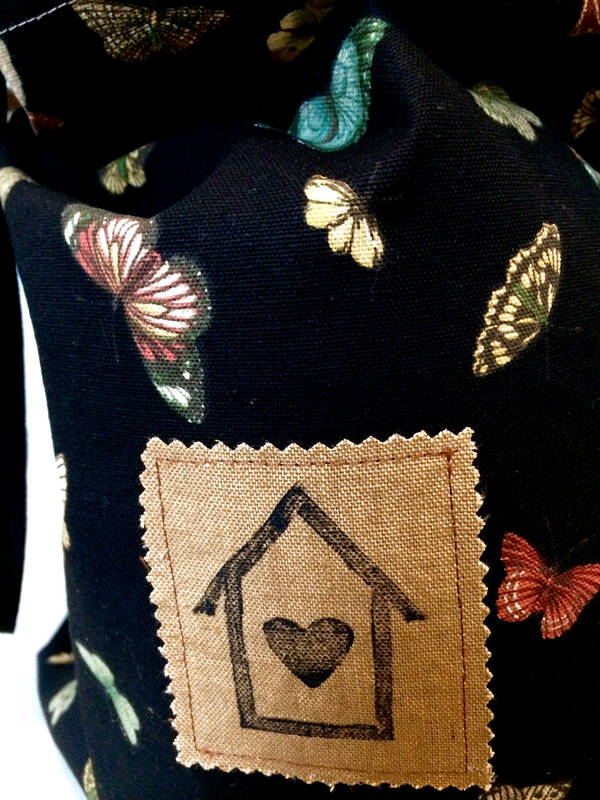 A simple tote bag comprised of an adorable black butterfly printed canvas cotton - making it both durable and beautiful. 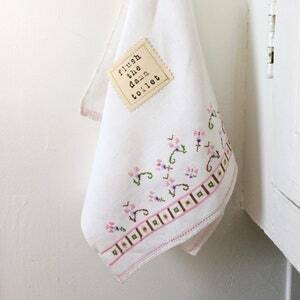 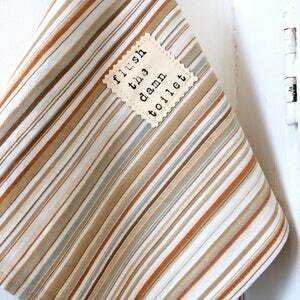 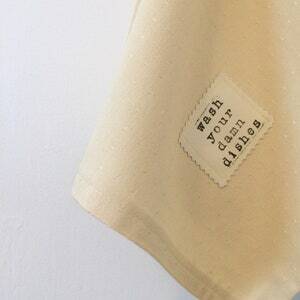 This tote bag was completely made by us, hand-stamped by us, and photographed by us. 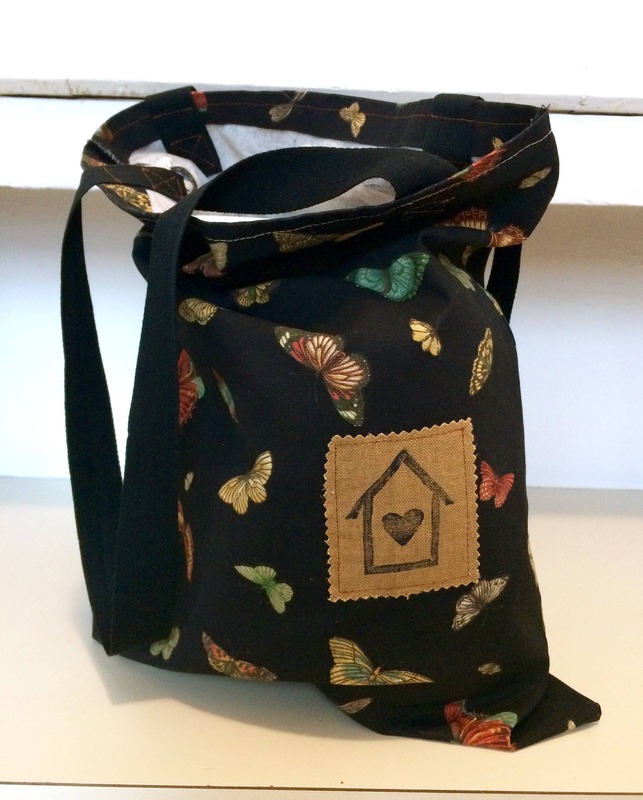 We have stitched together and reinforced all seams (by serging), ensuring that this bag will hold up to any job. 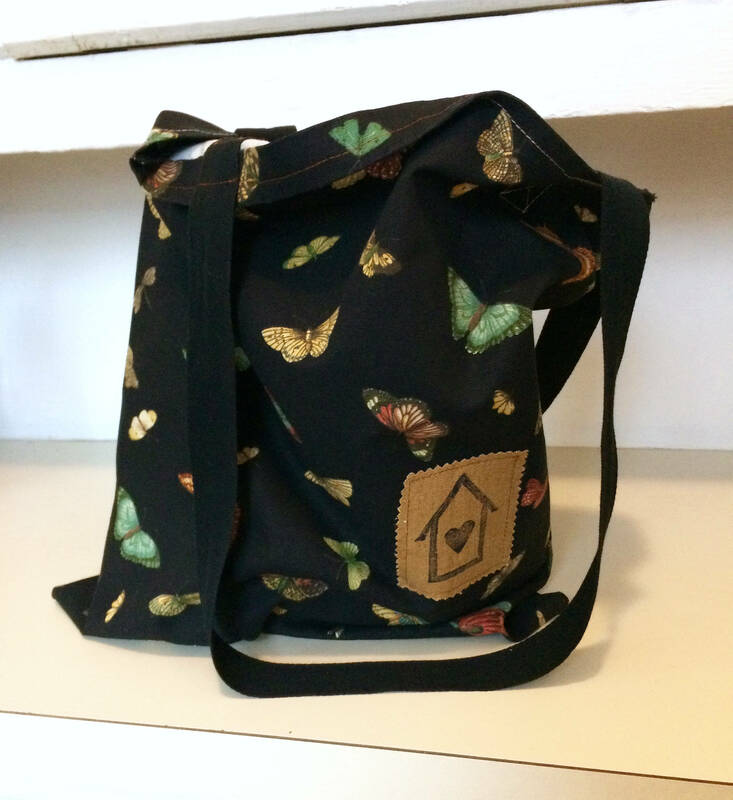 Side note: Our unique shopping bag design was the brainchild of Jessie, who wanted something durable to carry sewing supplies from her house to mine. 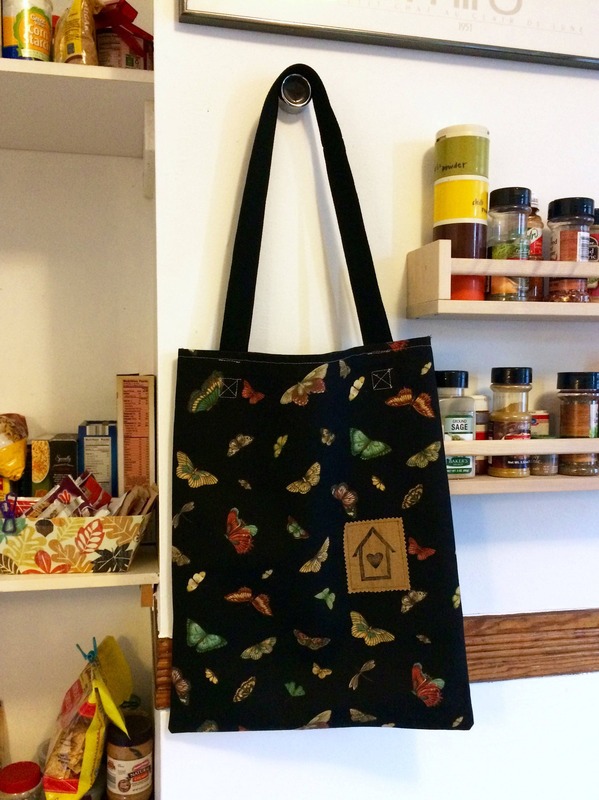 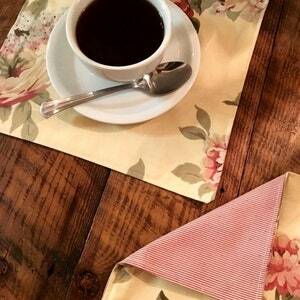 14.5 x 18 inches (without handle) - Handle is another 13 inches from top of the bag to shoulder.